Isn't this panda the sweetest thing? I think so! The ladies at the Fat Quarter Shop created her as part of their Sew Solid video series for their YouTube channel. 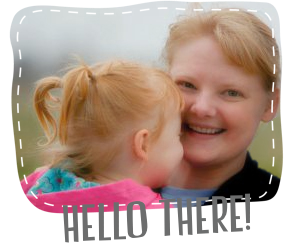 The Sew Solid series will focus on modern novelty blocks that you can turn into mini projects, or make several of the blocks for a big quilt. 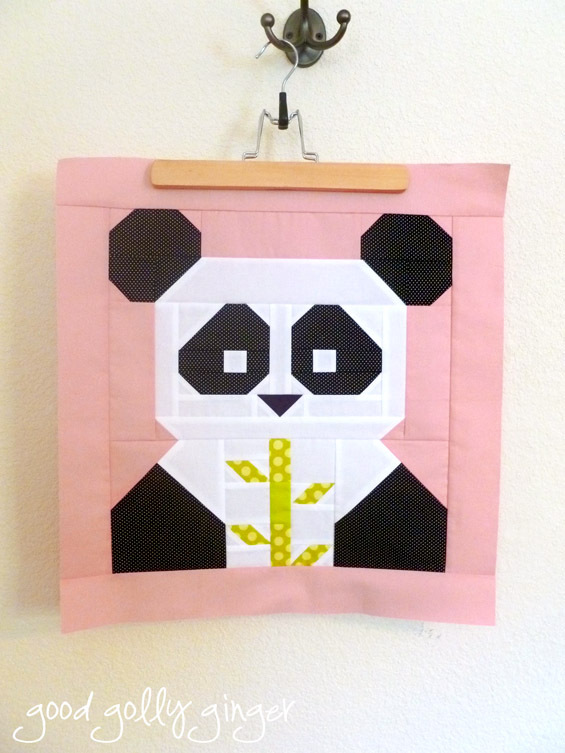 The latest Sew Solid quilt is this adorable Panda block...She was fun and so simple to make. Ginger #1 instantly declared that this panda belongs to her, and I agreed wholeheartedly. Come join the panda party! 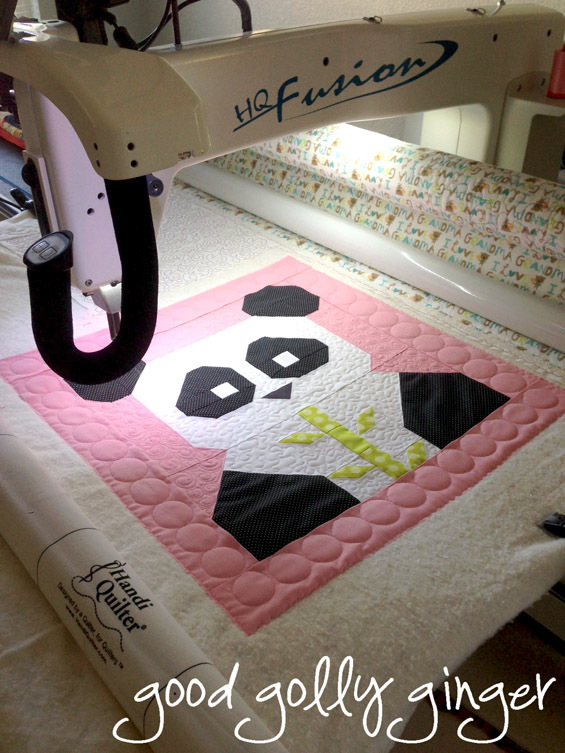 You can find the free pattern here, the video here, and the Panda-Monium quilt kit can be found here. It really is a very cute design and love the quilting. Congratulations on the longarm purchase. You will never regret it. The panda is cute as well! 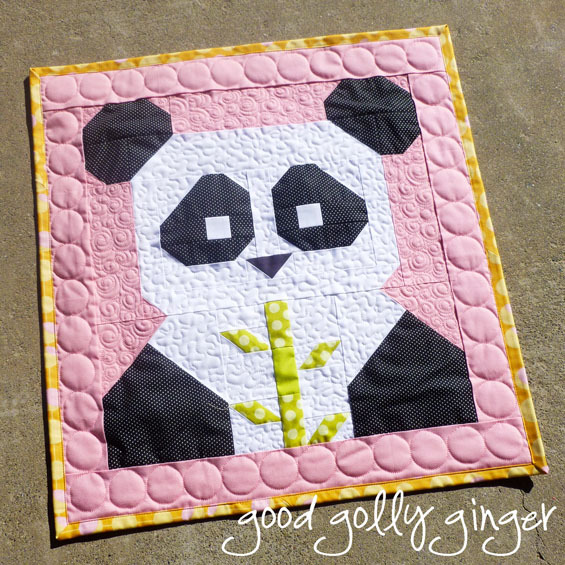 I really like how the quilting brings that little panda to life. Congrats on the new to you longarm. Have fun! Congratulations - such a cute panda!! Cutest ever! 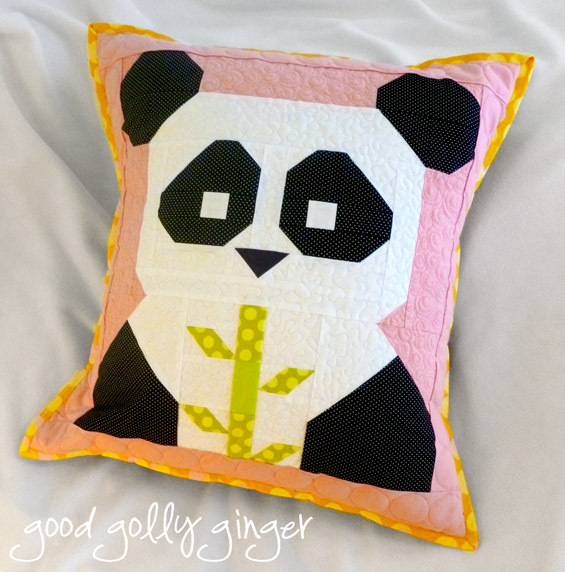 I would have missed the panda pattern, so thank you. My granddaughter is all about pandas right now, so this will be a summer project. What a cute panda and I can see why Ginger claimed it! Thanks for sharing.